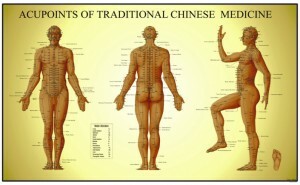 Acupuncture is mainstream these days, depending on the area of the country you live. It’s covered by most insurance plans (at least in Washington, where I practice) and every week I have at least one patient who experiences it for their very first time. Some are simply curious and others have tried “everything” to address their complaint. Often during these visits I get asked what acupuncture treats. My response it typically “everything”. Acupuncture stems from the larger medical theory and practice called Traditional Chinese Medicine which also include herbs, physical medicine, and Qi Gong. These are usually applied in combination. Rather than a vague answer though, let me sum up my experience for what acupuncture is very effective for. 1. Low Back Pain. Without a doubt one of the top complaints that walks into most acupuncturists’ offices. Western medicine has been trying to uncover how acupuncture is so darn good at treating this problem and the jury is still out. Much research has gone into studying low back pain and acupuncture, because, again and again, it works. 2. Migraines/Headaches. Whether a patient comes in in acute pain or they simply have a history of severe headaches, acupuncture can work immediately to reduce the severity of the headache, prolong the time before a reoccurrence and reduce the duration. 3. “Women’s issues”. Chinese Medicine has so many options for women with menstrual issues, acupuncture being just one. Whether you are experiencing amenorrhea (or no period), severe cramping before and during your period, irregular cycles, and general PMS symptoms, I encourage you to seek out a practitioner and give it a try over your next 3 cycles. I’ve had patients’ fibroids reduce in size just using acupuncture and periods returning. 4. Menopausal Symptoms. To piggy back on number 3. Bio-identical hormones are the hot topic and quick shotgun approach these in the natural health world to treat hormone imbalances and menopausal symptoms. However, I’ve found using acupuncture and Chinese herbs provides better, safer, and long-term benefits that ease women into the next phase of their life. 5. Smoking and Addiction. Acupuncture provides a great deal of benefit for those trying to quit smoking or overcome addiction. There is even a national training program that deals specifically with acupuncture and addiction treatment. 6. Stress-related illness. This is obviously a broad category. Being in health care it’s hard for me to think of a complaint that isn’t affected by stress. However, how many of us suffer from insomnia, anxiety, irritability, fatigue, and on and on. Acupuncture works by moving energy, stress stops the flow of energy which produces symptoms. By addressing the stress, acupuncture is able to treat this larger symptom picture. 7. IBS/GI conditions. How many of us experience something wrong in our GI system? I don’t just mean the occasional reaction after a glutinous meal. I mean those that have to know where a bathroom is at all times or those who haven’t used the bathroom for days. Our brain and gut our directly connected. Acupuncture is a wonderful tool at alleviated much of the emotional upheaval that then leads to a GI upheaval. 8. Fertility. Yes, you’ve all heard by now and maybe even experienced acupuncture in managing challenges associated with getting pregnant. There are acupuncture clinics solely devoted to fertility and improving one’s chances of conceiving. For some, it can be miraculous. 9. Acute Illness. Many of my own patients don’t even think about this. They come in to address a specific complaint with acupuncture. It’s at a later visit that they tell me they had a terrible sinus infection, cough, sore throat, etc. I smile and ask why they didn’t come to see me?! I’ve been the patient with stabbing pain in my throat, white spots on my tonsils and a fever unsure if I should go see a regular doctor, try and treat myself, or see what the acupuncturist could do for me. I walked out of any hour visit with the acupuncturist, sore throat completely gone, and functional within a couple days!